Australian Engineering Company, The Varley Group, Creates U.S. Subsidiary - Varley USA, Inc. The subsidiary will be headquartered in Washington, D.C. and focus on growing its base in three key business areas that include aerospace and defense, specialized vehicles, and advanced electric motor and generator technologies. 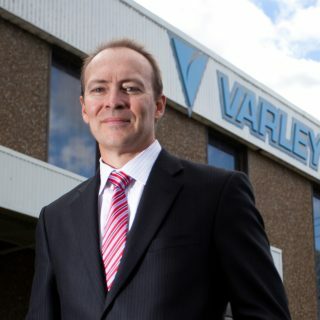 The subsidiary is also actively searching for strategic partners to further leverage Varley Group technologies and capabilities. Matthew Hederstrom will serve as CEO of the U.S. team and manage the strategic direction and day-to-day operations. Other senior team members include SVP of Acquisitions Earl “Chief” Smith II, PhD, who will lead the team focused on identifying and securing strategic partnerships and VP of global business development, Dan Dragoi, who is responsible for Varley USA’s sales, marketing and customer relations.